Would you like to know my PROVEN Manifesting Secrets which are 100% Guaranteed to Manifest ANY Desire FASTER AND EASIER? 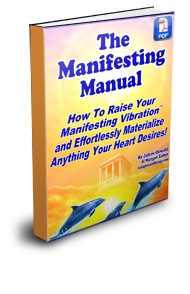 Instantly Download the 1st Chapter of my Revolutionary Manifesting Manual ABSOLUTELY FREE! Yes! I want to know your Manifesting Secrets that will Soothe my Soul and Empower my Life! "I did exactly what chapter 9 of the Manifesting Manual said and got tremendous results that really amazed me! I gained $500,000 from a TV show, bought my dream car and am engaged to the person that I feel is my soul mate! We are in love and he is just like I imagined him! Believe it or not. Everything that I write here is TRUE , thank you for helping me! " "Jafree's Manifesting Techniques are delightful and easy to accomplish. The end result for me was $127,000.00 in one month, and paying off $80,000.00 of debt! Now I am averaging over $50,000 a month!" "I am so excited to share my unbelievable manifesting experience after just three weeks on your manifesting program... the deal was worth a $50,000 commission check! What a gift of wisdom and knowledge that you have given all of us.."
"Absolutely Incredible! When I started applying what you taught, money started pouring in from everywhere! I even found my Soul Mate by using your Universal Secrets to Receiving Unlimited Success! Now whenever I need or want something I just ask for it." "I contacted Jafree 12 months ago to help me change my financial situation. I have followed his plan faithfully and I went from $90,000 in debt with no direction, to where I am now out of debt and financially free!" Click Here To Read ALL 150+ Testimonials! The Manifesting Manual reveals a PROVEN and powerful Manifesting Technology for attracting financial freedom, enlightened loving relationships, optimum health, your ideal career and a spiritual awakening in your life! This world-renowned manual is a 250+ page encyclopedia of manifesting knowledge with manifesting techniques you can't find anywhere! It is the most practical and applicable source about manifesting recorded in history! Packed full of practical exercises, habits, and action steps that you can start doing tomorrow morning and are guaranteed to turn you into a manifesting magnet! Within 90 Days or Less, You Will Dramatically Increase Your Natural Ability to Manifest your Desires with Effortless Ease with this Revolutionary Manifesting Experience. The Enlightening Manifesting Formula and Ancient Manifesting Secrets you'll experience INSIDE are 100% Guaranteed to Manifest your Desires FASTER AND EASIER!! This book contains Manifesting Secrets that are over 1500 years old!! You will receive Proven Manifesting Techniques that Will Empower your Life Dramatically. In a few days time you will naturally Increase Your Natural Ability to Manifest your Desires with Effortless Ease! This book is packed FULL of practical proven manifesting secrets, techniques, formulas and exercises that truly work! Learn the most empowering, healing, transformative, enlightening information about manifesting available in the world. This revolutionary manifesting guide reveals the most effective habits and techniques for manifesting amazing loving relationships, optimum health, financial freedom, your ideal career and a spiritual awakening in your life! GET READY TO RADICALLY ENLIGHTEN YOUR LIFE!!! I'd like to share with you the most empowering enlightening experience I've had in my entire life. In February of 1995, I took a trip to India to find the answers to my life's deepest questions. After several weeks of introspection and sitting with a guru named Papaji, I had an experience that changed my life forever. I tapped into extremely expansive, perpetually blissful feeling of peace, and awakened a personal connection with the Universe which provided me with an outrageous abundance of energy. intuition and manifesting power. It continued for many months and I instantly knew every answer to any question that came my way. Yet, perhaps the most amazing thing of all was that I was able to manifest anything that my heart desired...instantly! After returning to the USA I was slowly brought back into the hypnotic trance of my old lifestyle and a limited poverty consciousness. I was trying to integrate what I received in India, yet nothing seemed to work for me. I believed I had lost this incredible connection because I was struggling with creating money, lacking motivation, life purpose, and couldn't find a career that I loved doing. Then, one day in the deepest pit of my despair, I had an experience that changed everything. I was lying flat on the floor in a deep depressed and pathetic state, feeling overwhelmed with tons of bills and no job to pay them with. There was nothing that I could do but completely surrender to my entire existence. It was that moment I received a download of information that came from this higher intelligence inside. I started to write everything I heard, and what followed was a complete 8 daily habits that would raise my vibration, lift up my consciousness, and allow me to step out the poverty trance forever. I found that when I simply followed these habits everyday I raised my manifesting vibration and this was what allowed me to attract whatever my heart desired! It seemed too good to be true, so I had to test it out. I applied these habits on a daily basis and the results were staggering! In less than 60 days my income tripled, I was creating empowered loving relationships, I took an exotic vacation to Costa Rica, and was having multiple peak states of physical, emotional, mental and spiritual highs in a single day! I manifested $20,000 in cash!! How Does Manifesting Actually Work? You see, your body and mind act like a radio tower that is constantly broadcasting a particular frequency of energy. Your thoughts and feelings are always sending out an "energetic blueprint" into the Universe about who you are and what you want. When you consciously raise your vibration you are sending out the HIGHEST frequencies and manifesting signals which return to you with actual physical results. The only reason that you're not creating everything you want in life is because you are still sending out a frequency that is based in ego and a lower vibration. Once you start applying the secrets to raising your "Manifesting Vibration" you'll experience a dramatic change in how easy and effortless your desires manifest for you! Once you know HOW TO raise your vibration, you'll naturally manifest your desires FASTER AND EASIER than what you believed was possible. And when you do our morning manifesting routine for 90 days we guarantee that YOU WILL TURN INTO A MANIFESTING MAGNET! "The words contained in this book are the most powerful and profound ones you will ever read. The understanding of the human psyche is beautifully captured throughout, enabling one to fully explore and understand one's own personal mindset. Every negative is counterbalanced with a positive; you will no longer feel lost and vulnerable in this mad world we call home. Both writers, Jafree and Margot, deserve every bit of credit given for producing such a masterpiece. You are being given a life altering opportunity here, I strongly recommend you take it!!" "Explosion! That's how I will describe your 90 Day Manifesting Program. It is so full of wisdom and education. I've only read half of it and I feel charged with electricity! Yes, 420 volts of charge!! Thanks for showing the way!" A full blown Spiritual Awakening! "I've been on the 90 day course for a few months now and am really noticing some amazing changes in myself. I feel healthier, I got a promotion at work, I've started developing my online business plans that I've had for years... and so much more! Thanks Jafree. Please keep the inspiration coming. Best regards. "The most unusual thing is that when I pick up a chapter in your manifesting manual, every part of my being begins to vibrate as if I just plugged into the Universe!" 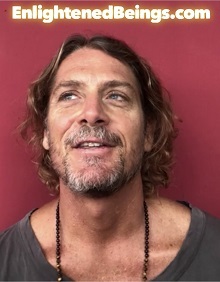 Click Here to listen to Pat's magical story about what he manifested using our manifesting program. Click Here for ALL 150+ Testimonials! Instantly Download your FREE COPY of the 1st Chapter and start digesting The World's Greatest Secrets to Increasing Your Natural Manifesting Abilities! "Thank you for your AMAZING Manifesting Program! I wake up every day feeling plugged in and connected to my source and I have never been happier or more fulfilled with what I now create!! Thank you so much for your program it is truly a blessing to the planet and anyone who is fortunate enough to have it!!!" 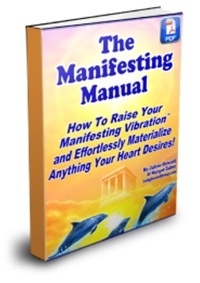 "Your E-book on Raising Your Manifesting Vibration is absolutely wonderful! It is excellent, a pleasure to read, and extremely delicious to take in! Comparisons to other things I have read and listened to about manifesting would not even begin to describe your work. Yours is unique and it covers so much, effortlessly, that I can read it again and again, and get more each time! Many thanks and blessing to you both." " I have read through your Manifesting Vibration manual and I must say of all the other material I have read on the same subject, yours is absolutely the most clear, free flowing, concise, and very informal 'how to' product I've ever read!!! By just reading and taking notes of the various 'choices' of exercise to implement on a daily basis, has made me very excited. I feel like I can do this, stick to it, and enjoy it! If you guys have anything else to share with the world please do!" "I'm enjoying your manifesting manual very much. It's GREAT; it's all the spiritual/metaphysical information you need to know in one place!" Do you want EVERYDAY to FEEL like you're living in paradise? When you are following our 8 Habits Morning Manifesting Routine you will Effortlessly Manifest the Life of your Dreams! Make a dramatic breakthrough in the following areas.. This powerful Manifesting Routine has literally created miracles in people's lives! Read these testimonials (below) of some who were on this routine for a only a few WEEKS!! "If I compare my state of mind now to what it was just a week ago I would say it's more like a miraculous healing than anything I have ever experienced before!" "I must start by saying just how much I'm enjoying, "The Manifesting Manual - How to Raise your Manifesting Vibration!" I just can't get enough of it! I even have an extra printed copy so that every spare moment I have is spent reading this incredible information!" WHAT ELSE WILL YOU FIND INSIDE YOUR MANIFESTING MANUAL? The Secrets to Revealing your Life's Purpose and Mission, So You're Inspired to Live a Life you Truly Love. A Super Powerful 3 Step Manifesting Formula Guaranteed to Attract Anything Your Heart Desires. The Secrets to Mastering Relationships and Attracting your Soul Mate. The Manifesting Manual contains 21 manifesting meditations, 13 visualization exercises, over 200 inspirational quotes, a proven manifesting technology that's over 1500 years old, and of course the world's greatest secrets to manifesting!! Check out the Entire Table of Contents below!! How To Create A Manifesting Dream Board! Why Are We Manifesting Beings? What Are The 8 Habits? Why Do We Experience Suffering at ALL? "The techniques in the Manifesting Manual really work! I am so excited, right now because I have accomplished a big goal which I have been striving to achieve for a long time. I passed my driving test for the job, and an opportunity came up and I applied for a higher paying post which will almost triple my salary!" Instantly Download ALL 250+ pages of the Manifesting Manual Right Now! WOULD YOU LIKE TO LISTEN TO THE MANIFESTING MEDITATIONS ON MP3 AUDIO? CLICK HERE TO SEE EVERYTHING INSIDE!! 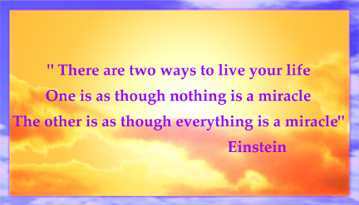 What is a Manifesting Vibration?? 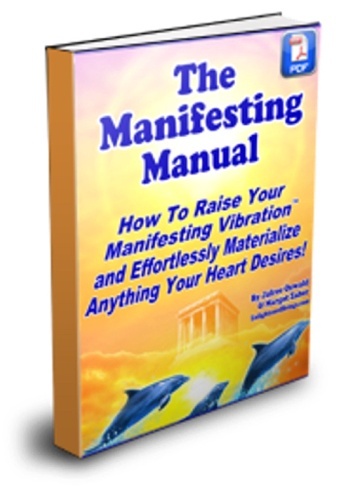 Instantly Download Chapter One of The Manifesting Manual for FREE! Yes, sign me up for the FREE mini-manifesting package above and email me your enlightened messages that will soothe my soul and enlighten my life! 2000 Free Enlightening Articles to Enjoy! Check out my Enlightened Beings Blog! � Copyright 2000-2019. Enlightened Beings. All Rights Reserved. Instantly Download Chapter One of The Manifesting Manual for FREE and receive my Messages that will Soothe your Soul!